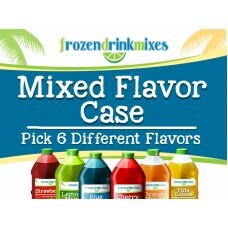 Each case contains six 1/2 gal (64oz) bottles of frozen beverage concentrate mix. 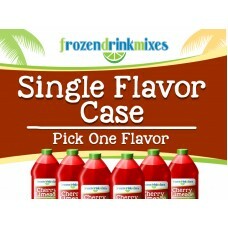 ..
Each case contains six single flavor 1/2 gal (64oz) bottles of frozen beverage concentrate mix. ..